LASERs are not just cool sci-fi movie props. They also have their place in medicine. LASER therapy for osteoarthritis is the use of light energy over an affected joint to increase circulation, reduce inflammation and decrease pain. By increasing circulation, more nutrients are brought to the area to improve joint health, along with endorphins (the body’s natural pain killers). Additionally, when a joint is painful, we often change the way we walk to shift weight off of the joint. This leads to overuse of muscles elsewhere in the body, such as the back and other limbs. The LASER can also be used to target those areas, easing secondary muscle pain. Acupuncture is placement of needles (fractions of a millimeter wide) into the skin over specific landmarks where nerves originate from the spine or lay close to the skin. These nerves are responsible for a variety of things such as: proprioception or knowing where our feet are in time and space, balance, and pain, among others. 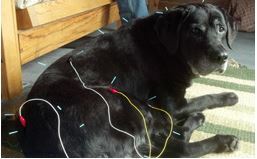 All of the aforementioned are common complaints reported in our senior pets and are often associated with arthritis. With regards to arthritic pain, needles are placed at locations specific to nerves innervating the affected joint or over local points of secondary muscle tension. The needles interrupt the pain response relayed to the brain by slowing the rate at which the signal is carried. In addition, they can also trigger the release of endorphins. In the event of severe secondary muscle tension, a needle can be introduced into the muscle to break the contraction cycle, subsequently relaxing the muscle. Supplements – What Are They? How Can They Help? An internet search of joint supplements will yield endless results, leaving pet owners with the overwhelming question of “what is best for my pet?”. Joint supplements fall under a category called nutraceuticals. Nutraceuticals are compounds that are found in foods or herbs that may have a beneficial impact on health. They are not reviewed or approved by the FDA so there is no oversite of advertising claims. Many of these companies have not performed proper research on their products to test for efficacy or bioavailability (the body’s ability to utilize a certain compound). It is important to discuss with your veterinarian which products have good research behind them to ensure you are buying a quality product. Commonly recommended supplements for arthritis include glucosamine/chondroitin and fish oil. Fish oil contains EPA which has been shown to inhibit the production of arachidonic acid (a major player in the inflammatory process). Whereas glucosamine and chondroitin are important building blocks of cartilage. As arthritis progresses, cartilage deteriorates, leaving the body unable to produce enough glucosamine/chondroitin to keep up with damage. Adding these compounds as part of the treatment protocol can help protect against further cartilage damage. Some studies have suggested that glucosamine and chondroitin may act similarly to NSAIDs by inhibiting COX (cyclooxygenase) another major player in the inflammatory process, further reducing the pain associated with arthritis in pets. Rehabilitation professionals will also use controlled exercises, weight management, and assistive devices as tools to help our senior patients. 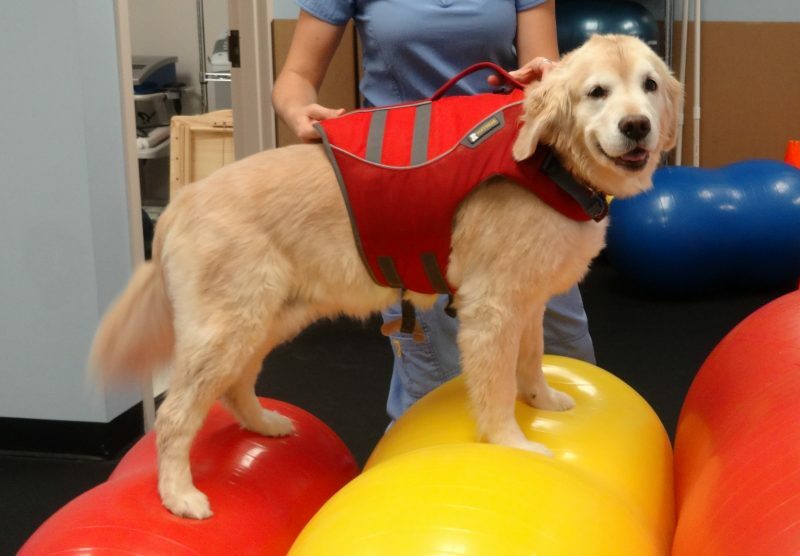 There are many more modalities than can be used to reduce the discomfort of osteoarthritis, contact your rehabilitation professional to find more options for your pet!